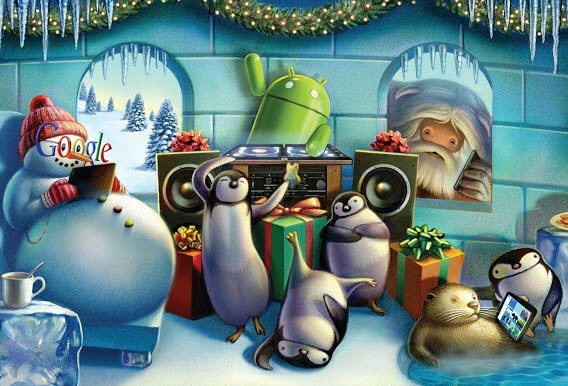 If you aren't quite feeling the holiday spirit yet, Google has decided to lend a hand with a few holiday-oriented offerings focused on our favorite green robot. 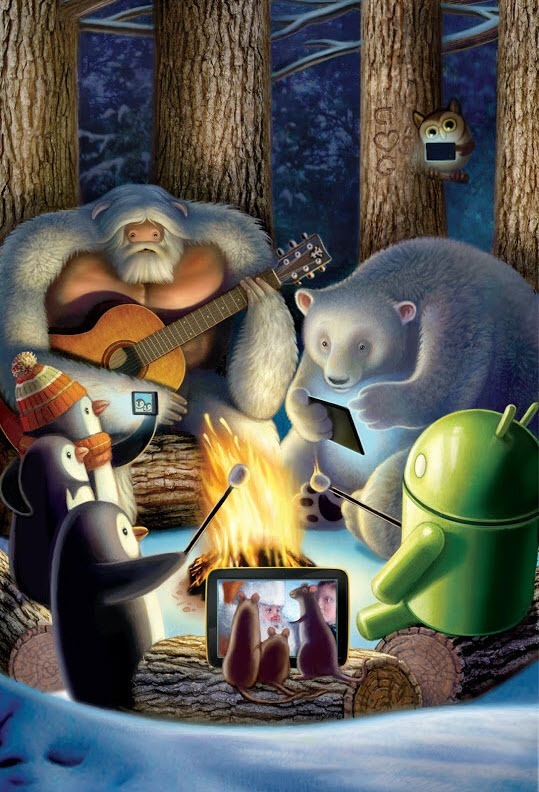 The official Nexus page on Google+ shared a few "Happy Holiday Cards" this evening, depicting Bugdroid hanging out with some arctic pals sitting by a fire, having a party, ice skating, and – of course – playing with Android-powered phones and tablets. To download the full-resolution cards or share with friends, just click through to the original post, linked below. 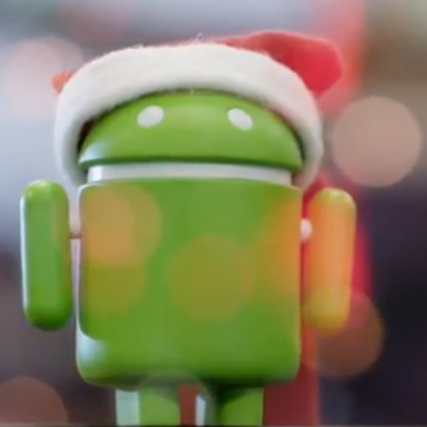 Google also published a video titled "Happy Holidays from Android" which shows how a few tablets can brighten even the loneliest robot's holiday. 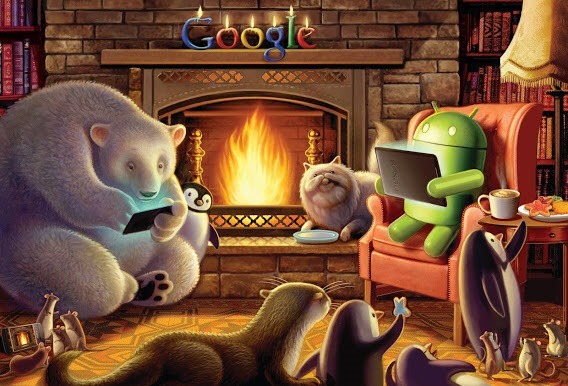 In the video, we see several of Dead Zebra's Android offerings, along with the fabled Nexus 7 dock and a previously unseen Nexus 10 dock, as Bugdroid goes from feeling left out of the fun to having a party of his own with a few pals and a cozy virtual fire. 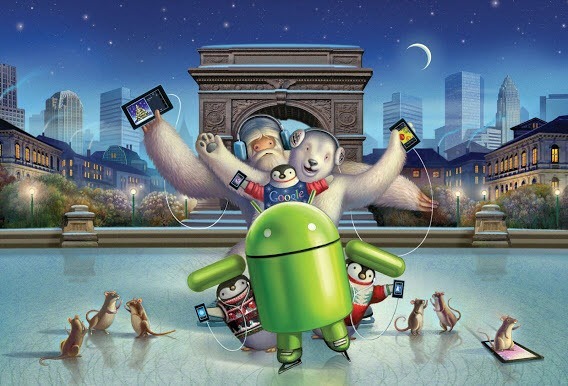 Without further ado, here's "Happy Holidays from Android".